If you are a beginner in investing, choosing from a lot of investment options is quite difficult, and oftentimes, it is coupled with unsettling thought of parting with your money. 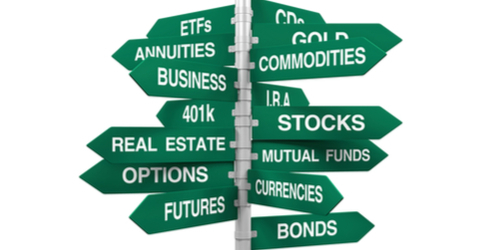 Investing is a huge decision and requires a lot of thinking, research and risk taking. As an investor, you may have to consider a lot of factors to ensure that your investment is done at the right time at the right place. To help you figure out what type of investment to choose, here are, in no particular order, the top 5 best investment options for beginners. Bonds are debt investments where investors loan their money to the government or corporation at a variable or fixed interest rate over a period of time. The price of the bond is equal to the amount of money the investor lent to the entity. In return, the investor receives the interest for loaning the money. A common investment channel consists of stocks. Stocks can be risky, but if dealt with correctly, they can definitely grow your money rather than just putting it in the bank. Investing in the stock market isn’t something you can master overnight and earn a million bucks in one go. Just like they say, you win some and you lose some. The best thing to do is to study the market before you start investing. You can also consult a financial advisor and ask him or her everything you want to know about stocks. Gold may seem like one of the best investment options that is no longer necessary in today’s economy. However, gold is considered a smart investment as it is a physical asset that holds real value. One of the greatest benefits of investing in gold is that it preserves wealth. The value of gold isn’t reduced even when the dollar is affected by inflation. Many experts agree that gold will become a “larger part of global commerce in the years ahead.” Some experts even believe that gold can go up as high as 10,000 dollars an ounce during the next economic meltdown, making it a truly worthy investment for the future. If you are into a relatively safer investment option, then you should dig into real estate. You can make money in this by renting out your property to tenants or businesses, through capital appreciation, or through buying and selling (flipping properties). Real estate is considered as a safer investment option because it is a physical asset that is and will always be in demand. As long as people need homes, and businesses need buildings to produce goods and host customers and products, real estate investments will be profitable. You may also invest in Real Estate Investment Trust if you are not into buying a property yourself. Forex is a short term for Foreign Exchange, which is the act of changing one country's currency into another country's currency, usually for tourism or commerce. The forex market is the largest in terms of volume traded which makes it the most liquid form of all investment options. Forex could yield you great returns; you could also start forex trading with a small capital. A lot of people say that the forex market is a risky investment option, which is quite true. But just like any other investment, risks are always present which makes investments a lot challenging. However, if you have a sound strategy, it is possible to make a decent sum of money in forex trading.